New Moon Poster. . HD Wallpaper and background images in the jacob black club tagged: twilight jacob black jacob and bella new moon poster. This jacob black photo contains retrato, tiro en la cabeza, primer, headshot, primer plano, en la cabeza, and closeup. There might also be animado, cómic, manga, historieta, anime, and dibujos animados. isn't that the girl from ice princess?%^. 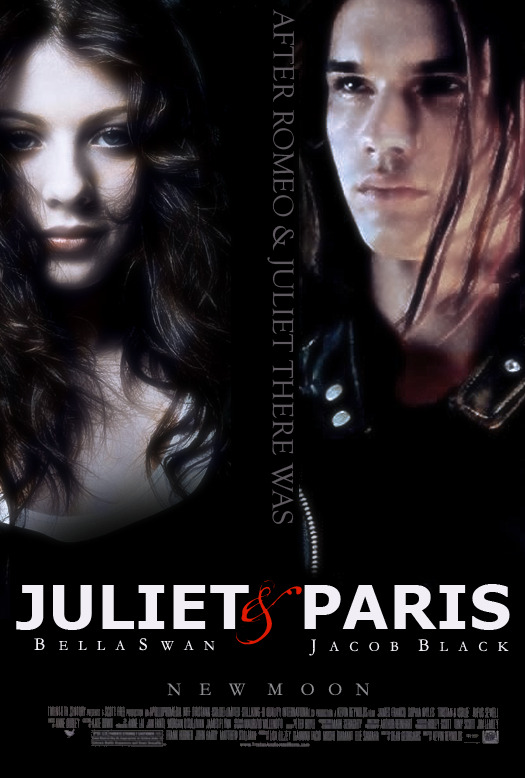 okay...cute but that is the girl from the ice prinecss and jacob as paris is kinda werid but cute.